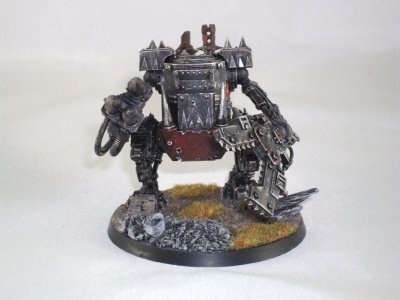 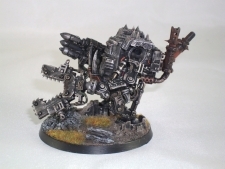 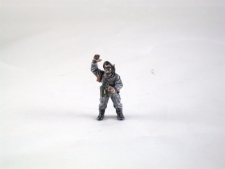 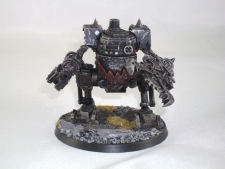 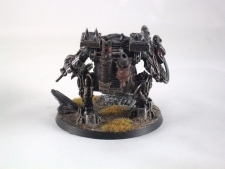 We Painted this terminator to show of the base, we added our razor wire top show how you could use it. 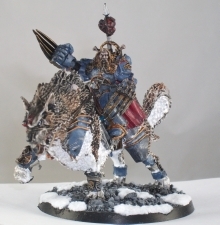 I loved painted him, sold him to someone in france and it got lost in the post! 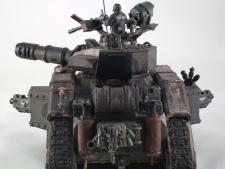 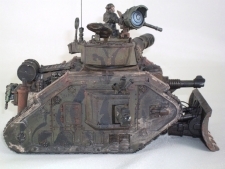 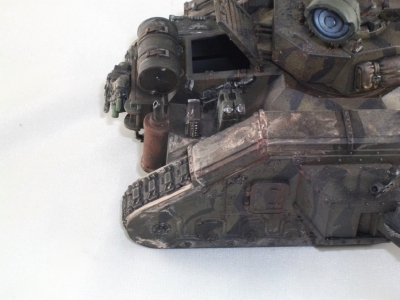 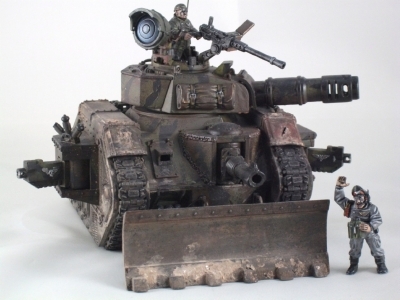 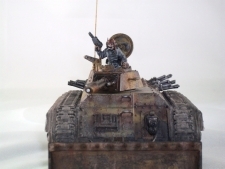 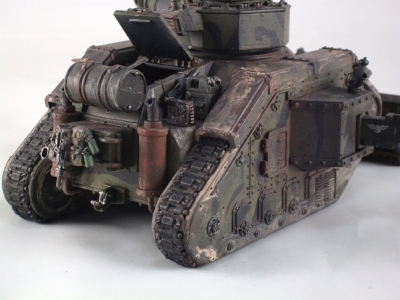 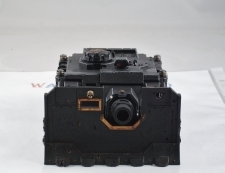 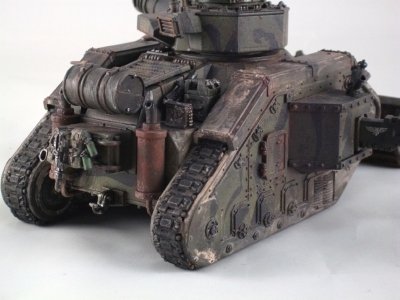 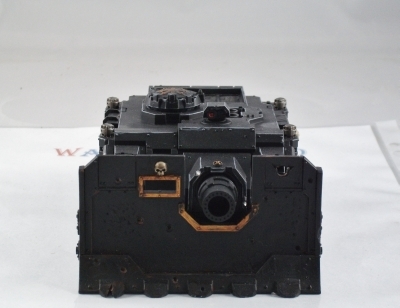 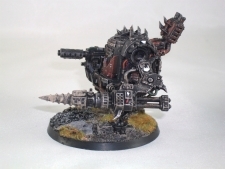 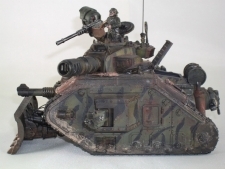 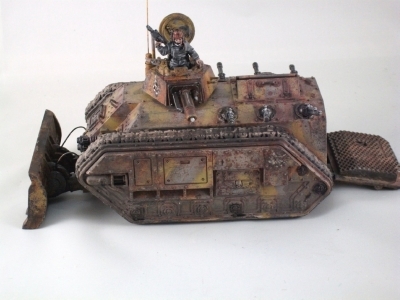 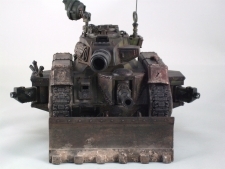 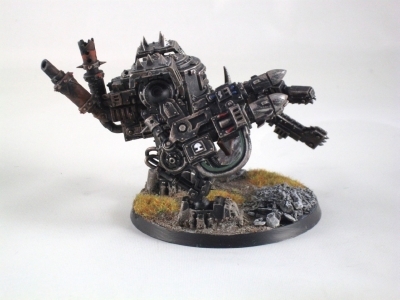 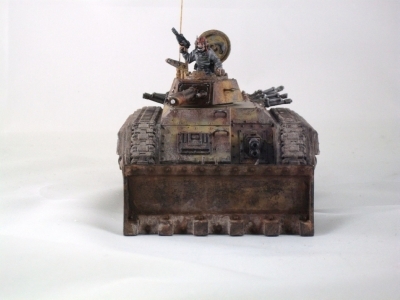 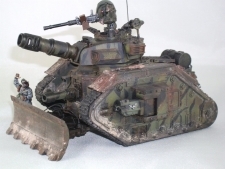 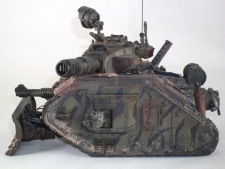 This is a Leman Russ Battle Tank and is the main battle tank of the Imperial Guard armies, a heavily armoured and powerfully armed war machine renowned across the galaxy for its deadliness and durability. 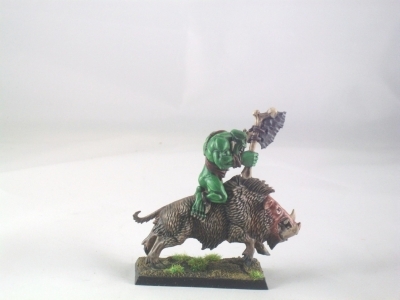 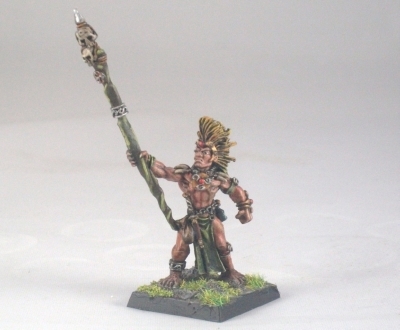 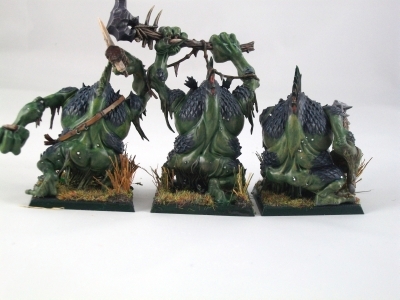 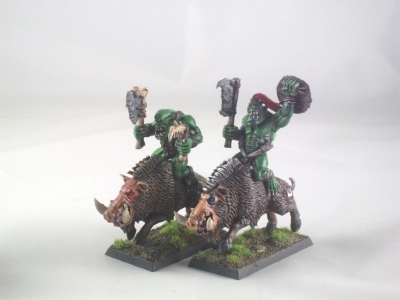 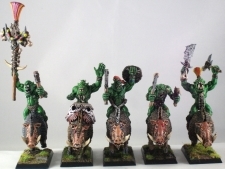 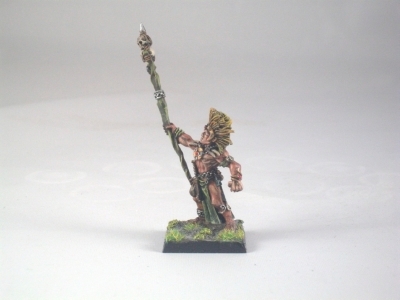 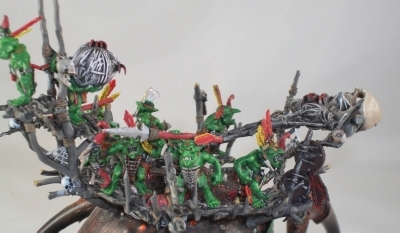 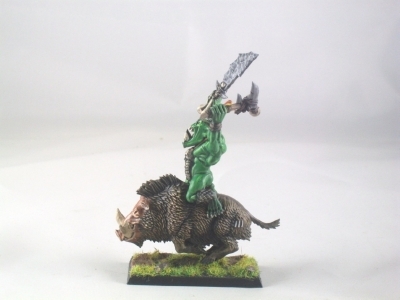 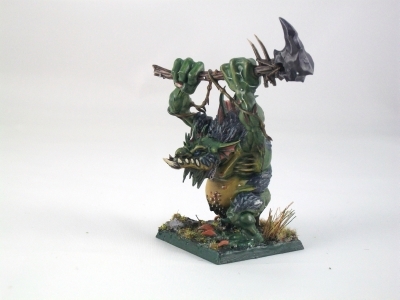 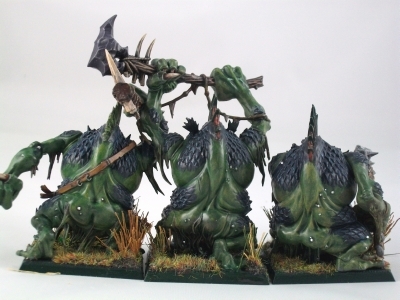 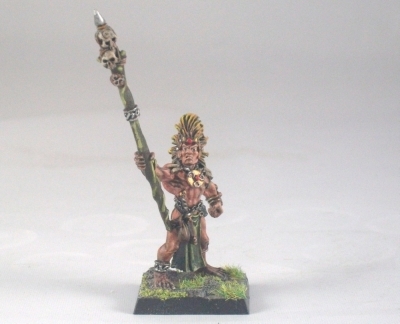 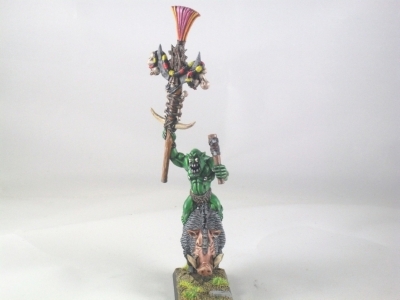 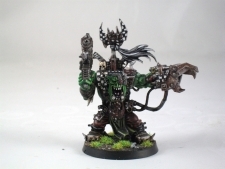 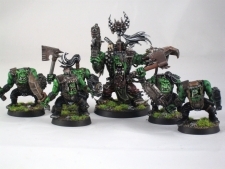 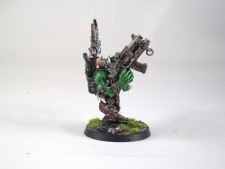 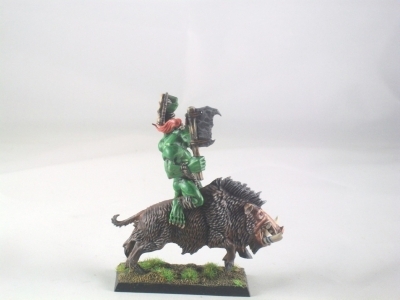 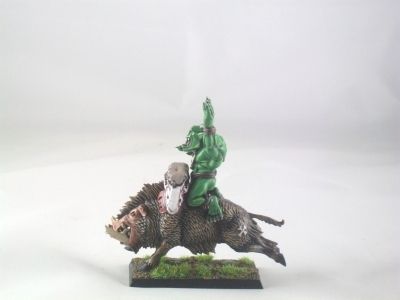 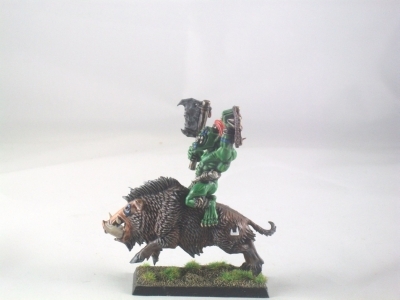 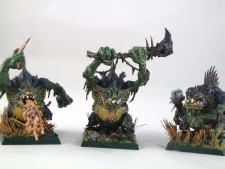 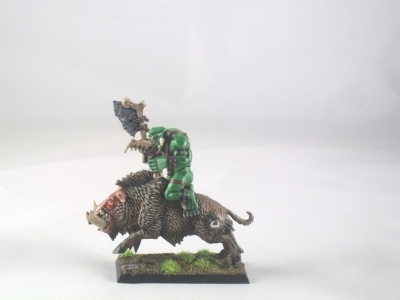 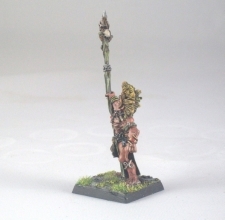 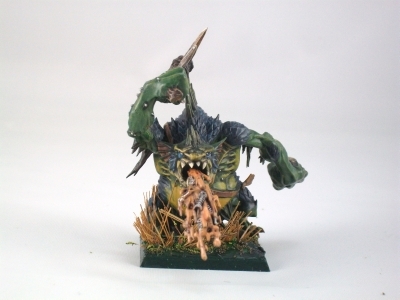 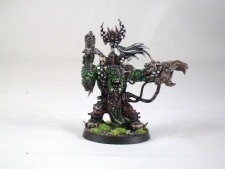 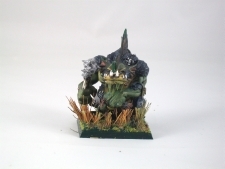 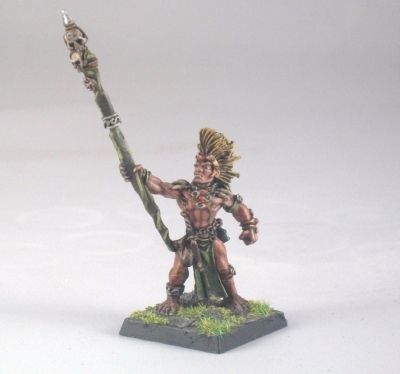 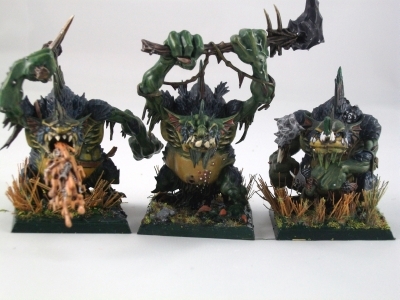 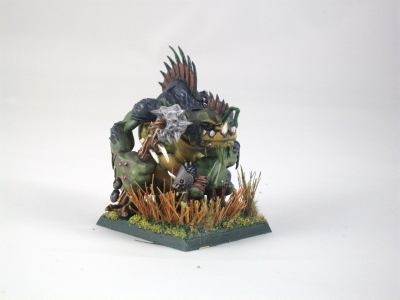 I Love painting Orcs, I must like the colour green. These were a cheeky lot but fun to paint. 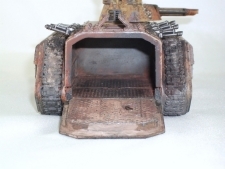 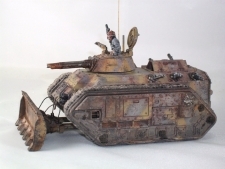 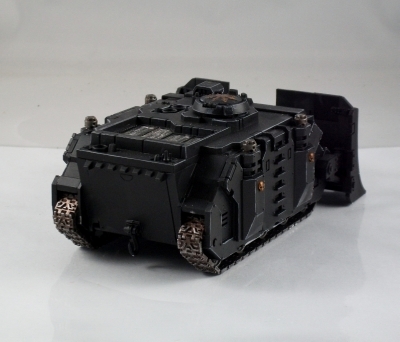 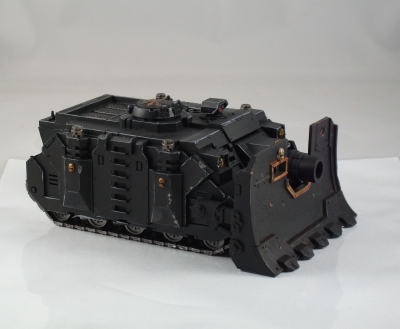 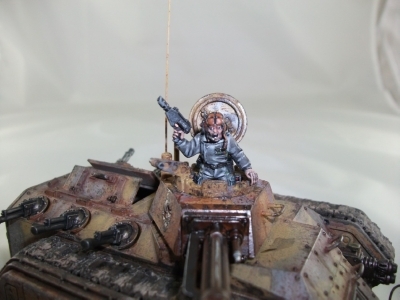 The Chimera is the Imperial Guard's most commonly used armoured troop carrier, and this one is well used! 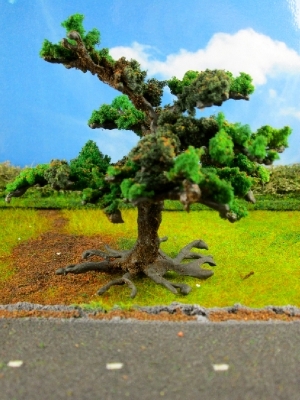 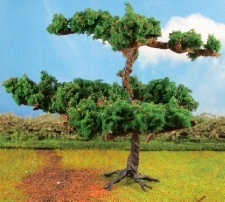 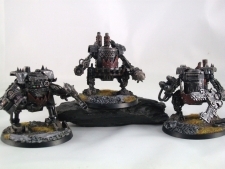 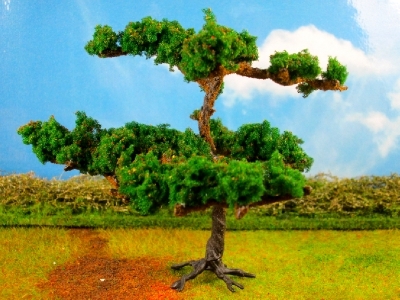 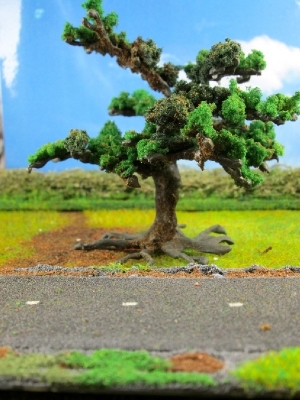 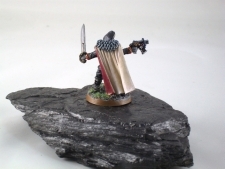 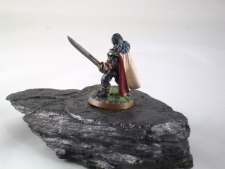 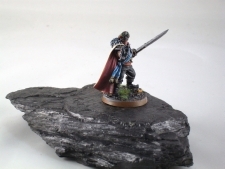 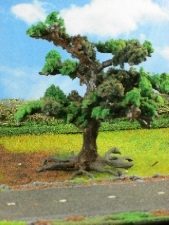 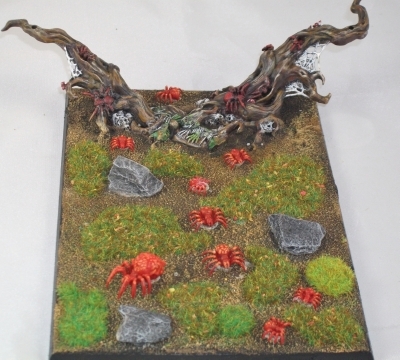 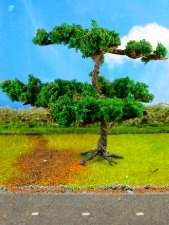 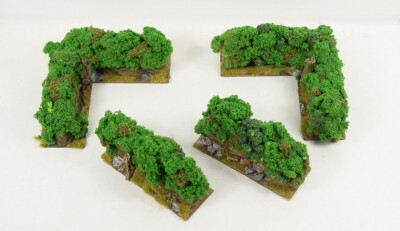 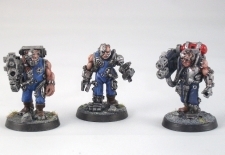 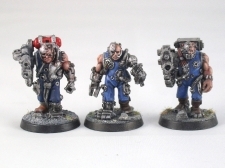 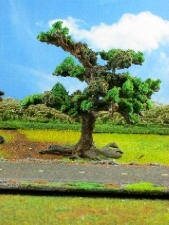 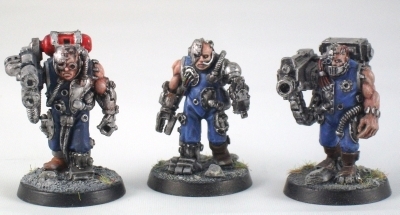 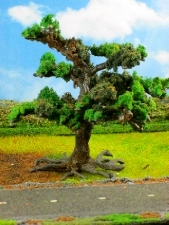 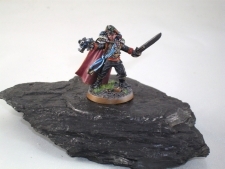 The bases on these models have our very own slate and grass on, I used these as an example of what you can achieve with our products on your models. 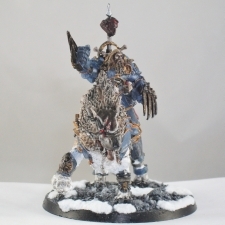 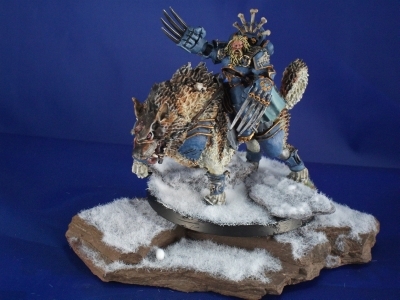 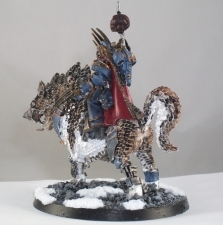 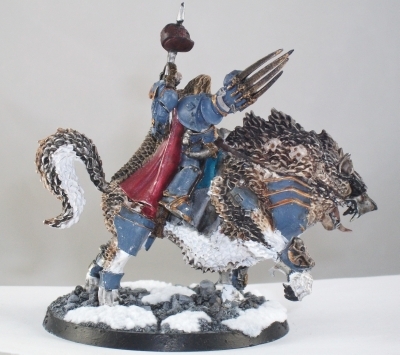 Of all the warriors of Fenris, Canis Wolfborn is one of the most feral and destructive, having been raised by wolves in the snow-swept wilderness of his homeworld. 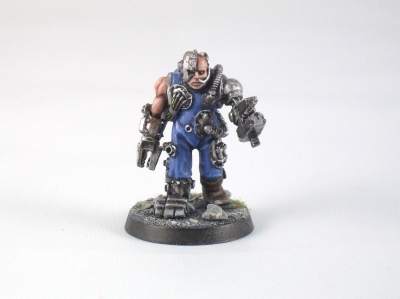 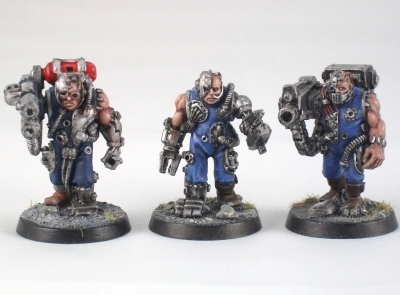 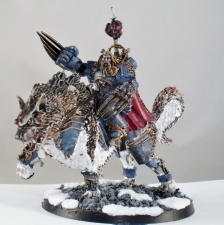 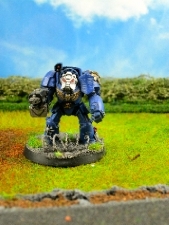 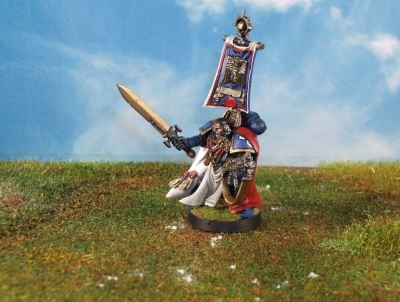 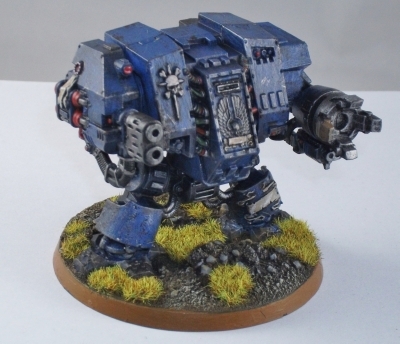 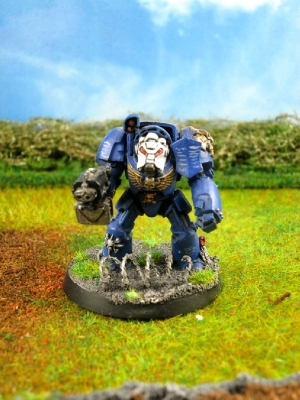 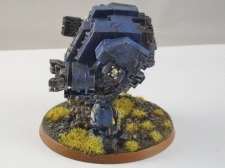 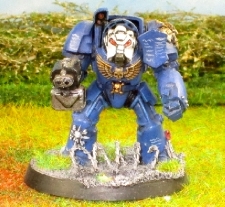 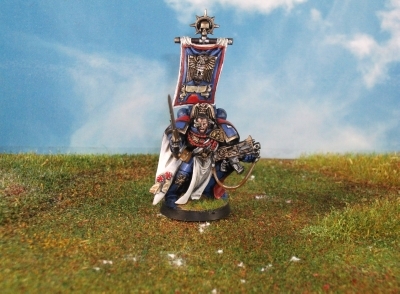 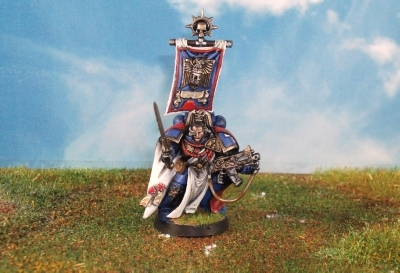 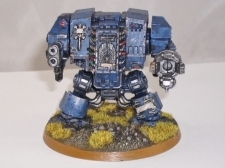 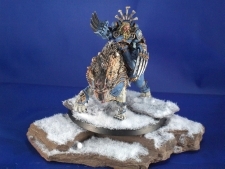 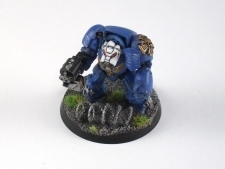 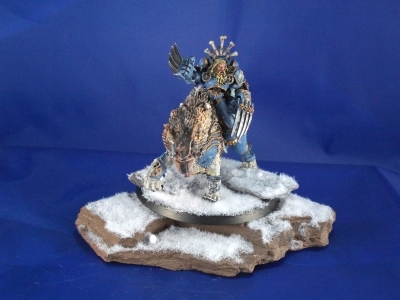 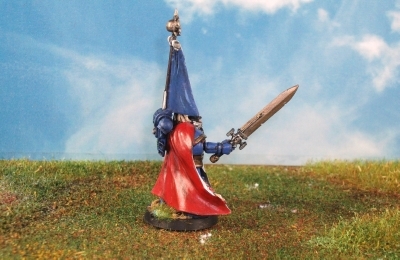 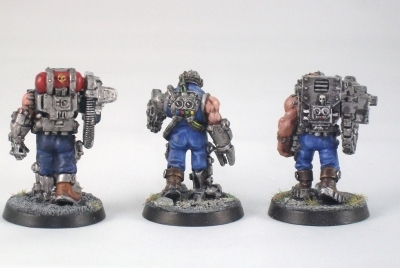 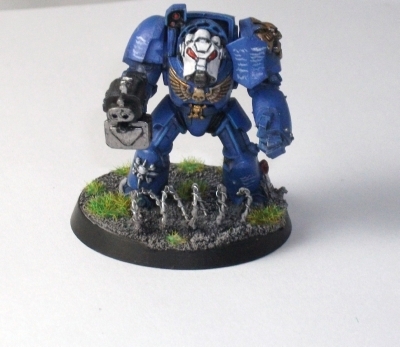 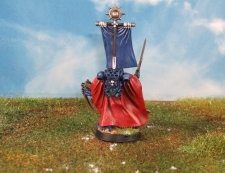 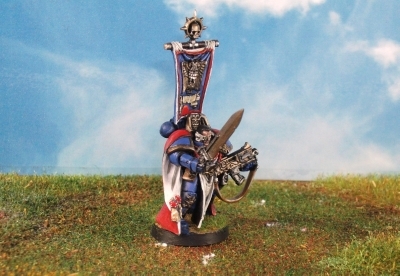 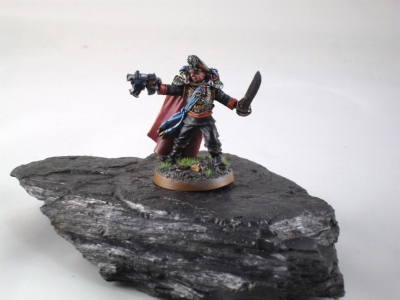 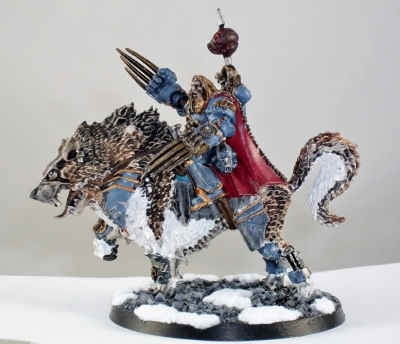 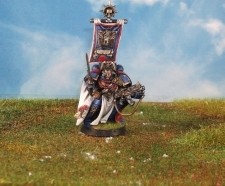 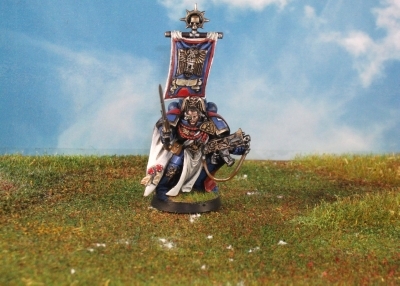 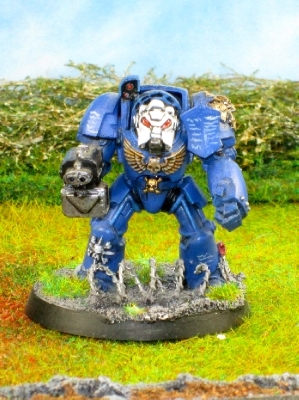 Much like the wolves of Fenris, he is cunning and resourceful, the perfect commander for a Space Marine Chapter. However, when the Feral Knight becomes surrounded, he and his Thunderwolf Fangir fly into an animalistic rage, slashing at the throats of all those around them in a blur of crackling blows and snapping, rending jaws. It's likely that only Canis and Fangir will emerge unscathed. In the darkest depths of the most sinister forests, even Giants and Cygors can fall prey to the colossal Arachnarok Spider. Towering over houses and settlements alike, this gargantuan creature can be goaded into battle by Forest Goblins who worship it as a living god. 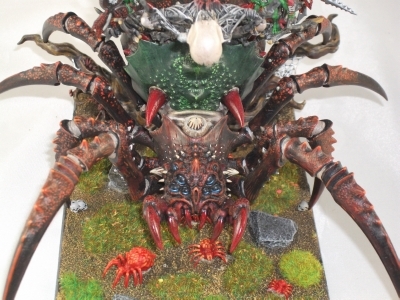 Bedecked with shanty towers, altars to the Spider-god or even crude catapults, the Arachnarok Spider will terrorise the Warhammer world. 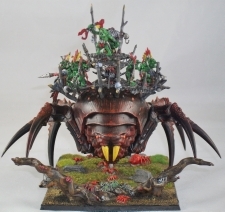 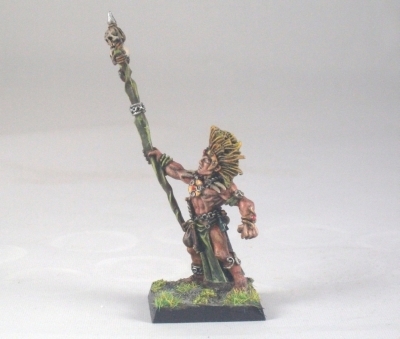 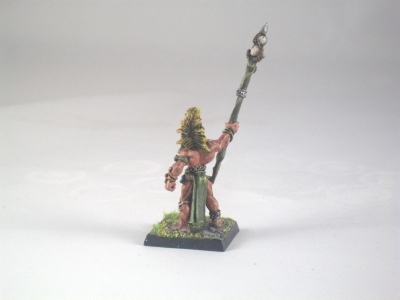 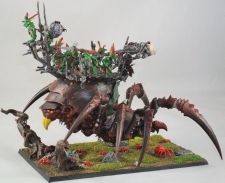 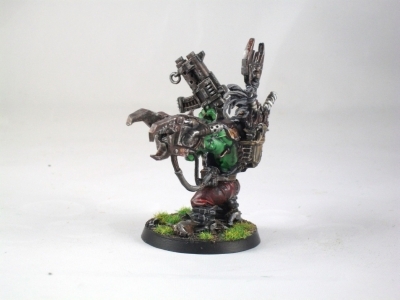 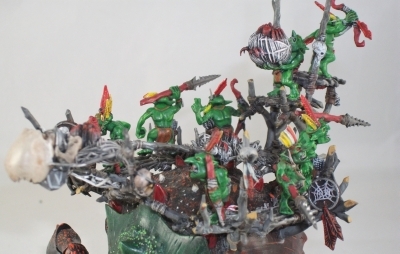 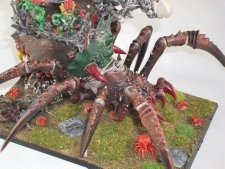 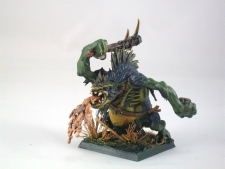 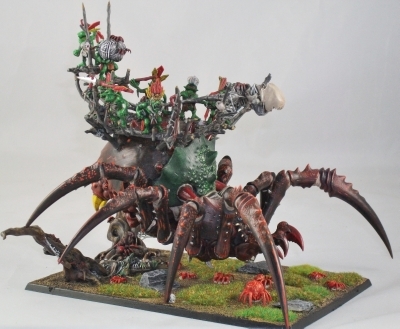 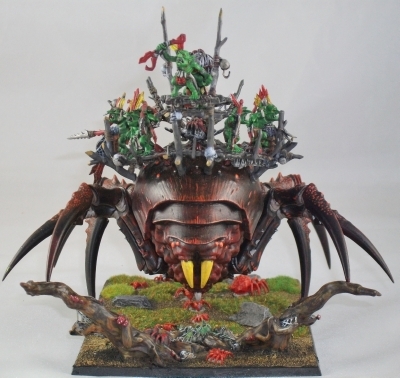 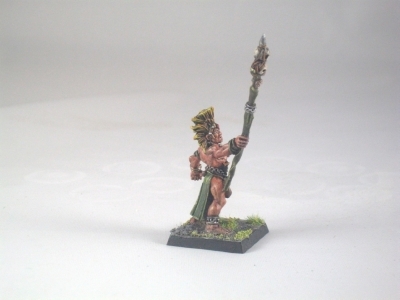 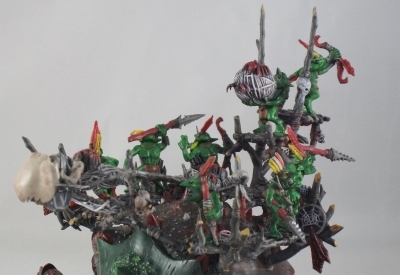 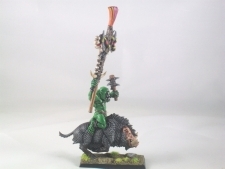 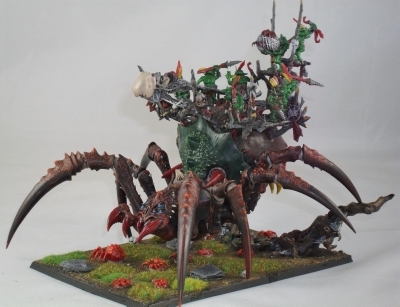 Da Black Gobbo says: When I goes to war, I always 'av a chat to da Forest Gobbos to see if I can get me hands on an Arachnarok Spider. 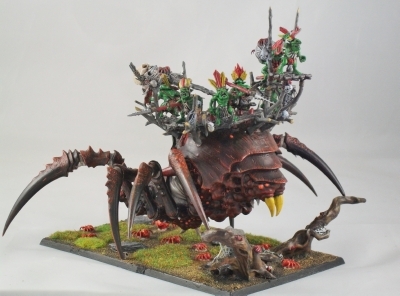 Not only is it ded 'urty in combat, where it munches all da scrawny humies an' pointy-ears, but it can even have a flinger on top to lob 'eavy stuff at dem and squash 'em from long range. 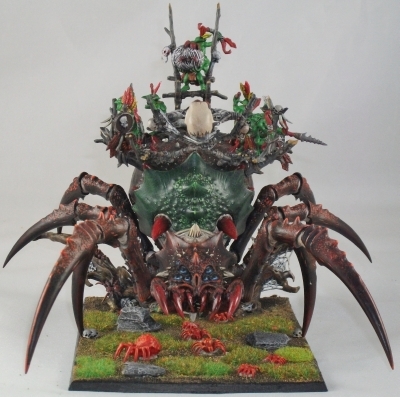 So yeah, itz super-killy and really big. In fact, dis Spider is so massive, it actually needs a bigga base than all uvver monsters. 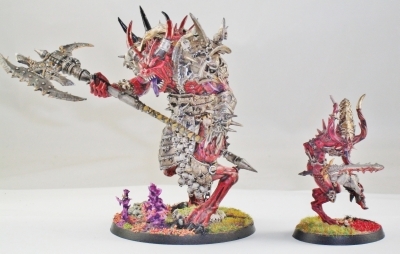 The mightiest servants of the Dark Gods are blessed with monstrous power and life unending amongst the Daemon hosts of Chaos. 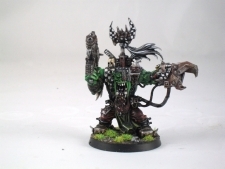 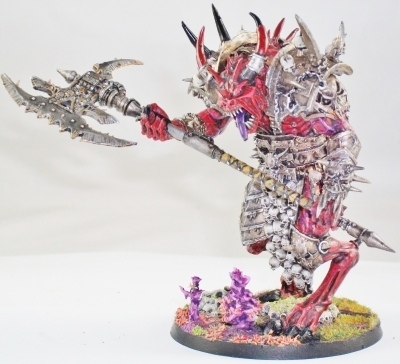 Each Daemon Prince was once a devoted servant of Chaos, whose actions in life have earned him blessings beyond counting and elevation to daemonhood. 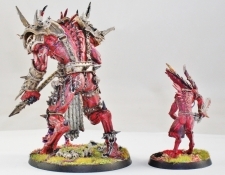 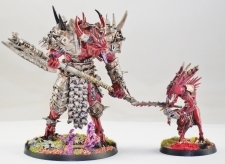 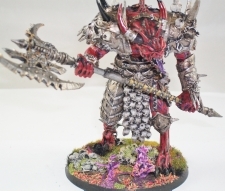 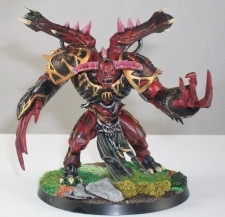 Some Daemon Princes will choose to remain amongst their fellows within the mortal realm, living as a god amongst men, while others will claim their birthright as a scion within the Realm of Chaos. Whichever path they choose, Daemon Princes are counted among the deadliest servants of the Dark Gods, lords of battle whose mighty blows can crush even the bravest mortal heroes. 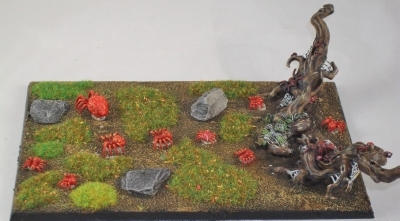 The grass on the base is our new African Grass. 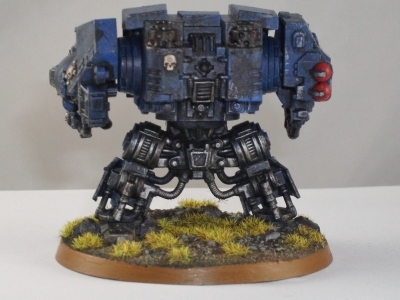 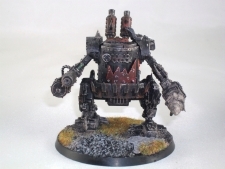 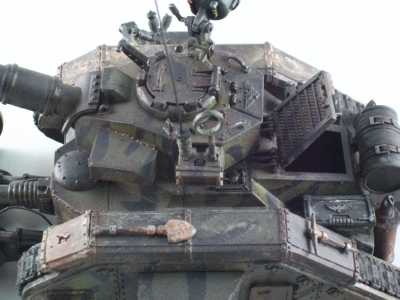 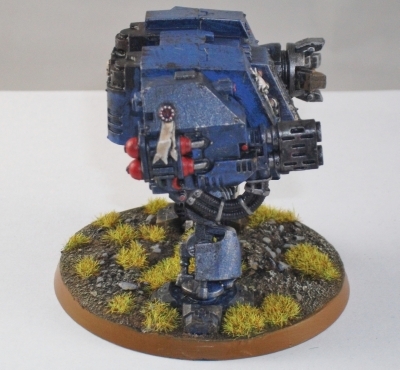 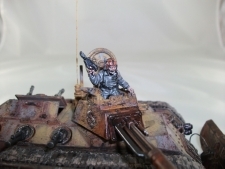 The model has been painted as if its had many battles, with some battle damage and signs of over usage. The Story of all the warriors of Fenris, Canis Wolfborn is one of the most feral and destructive, having been raised by wolves in the snow-swept wilderness of his homeworld. 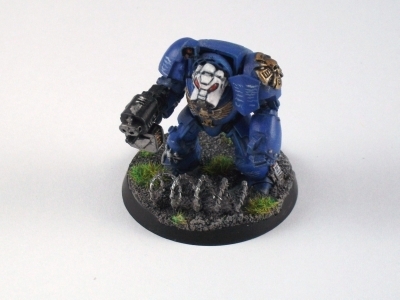 Much like the wolves of Fenris, he is cunning and resourceful, the perfect commander for a Space Marine Chapter. 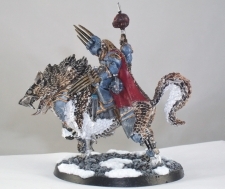 However, when the Feral Knight becomes surrounded, he and his Thunderwolf Fangir fly into an animalistic rage, slashing at the throats of all those around them in a blur of crackling blows and snapping, rending jaws. 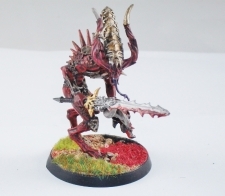 It's likely that only Canis and Fangir will emerge unscathed. 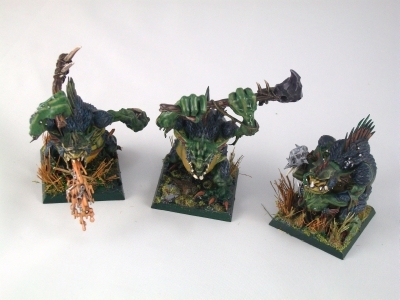 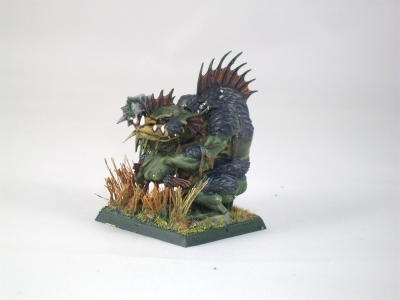 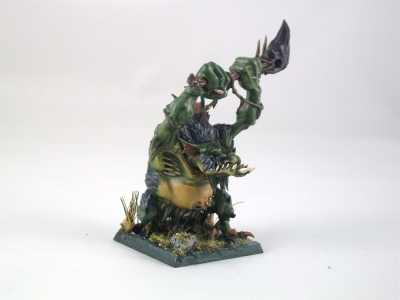 These are my River Trolls are large and hideous creatures, bestial and foul with long gangling limbs and cold damp hides. 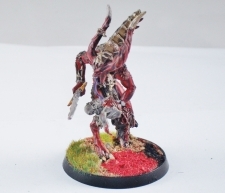 Their flesh is able to regrow almost as quickly as it is damaged. If a Troll's hand is severed a fresh one will grown from the stump. Trolls join Orcs and Goblins as they march to war, attracted by the rotten carcasses and bones on which they like to feast. 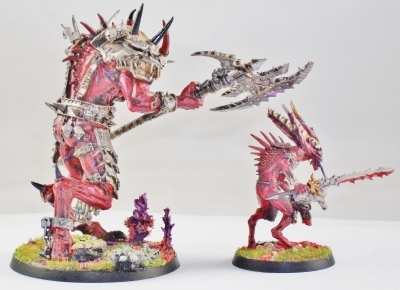 These are finecast model and i was going to enter Golden Daemon with the mighty Daemon Prince of Khorne, however i changed my mind and could not wait that long. 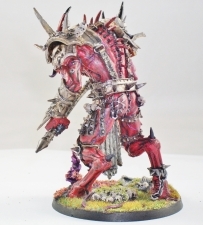 so he is up for sale. Note the detail on the base, it has some of our products. 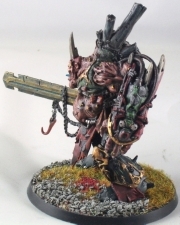 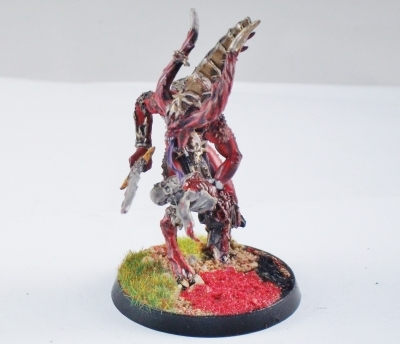 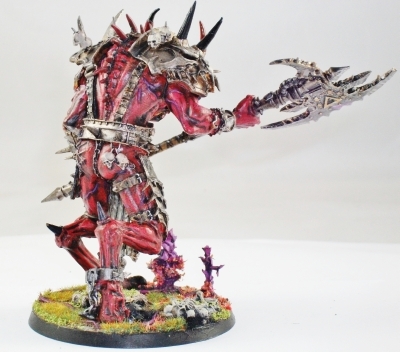 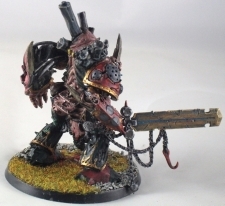 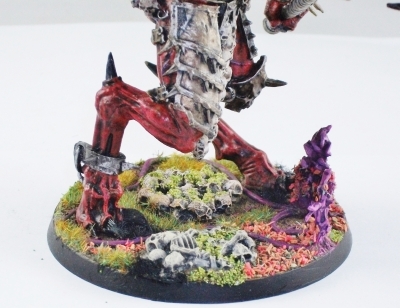 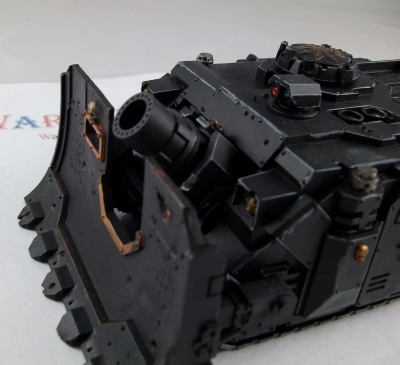 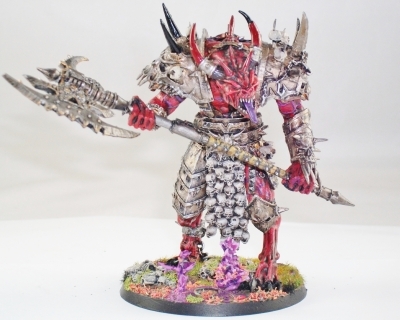 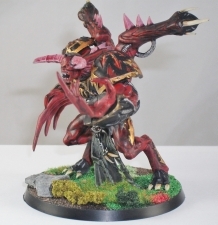 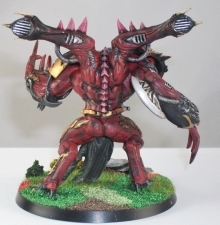 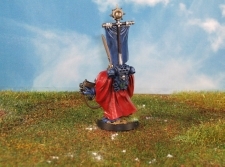 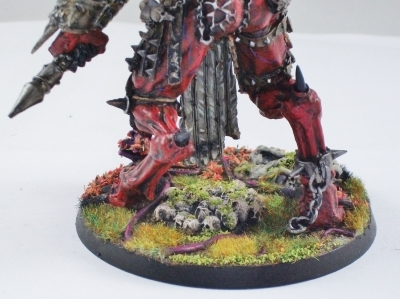 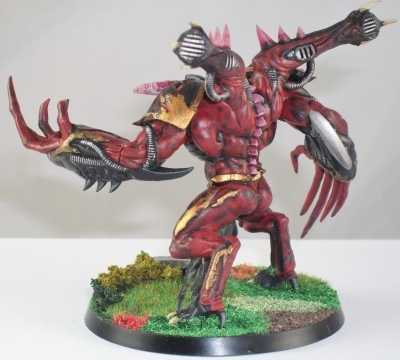 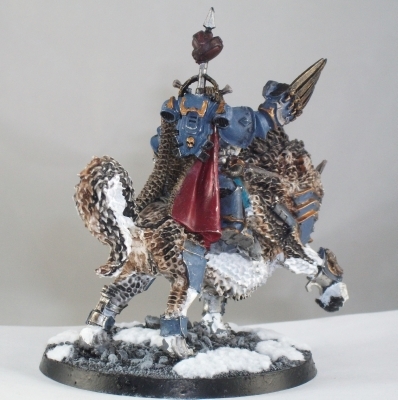 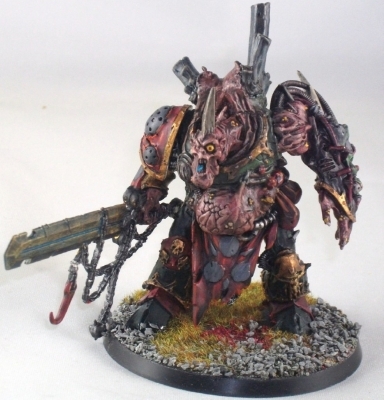 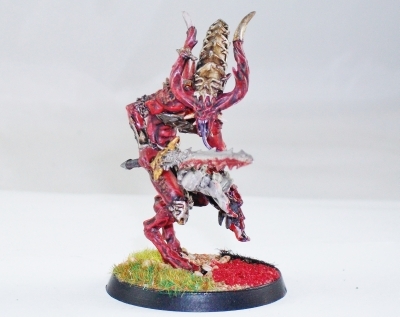 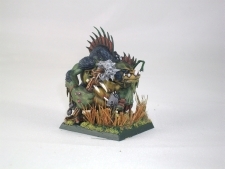 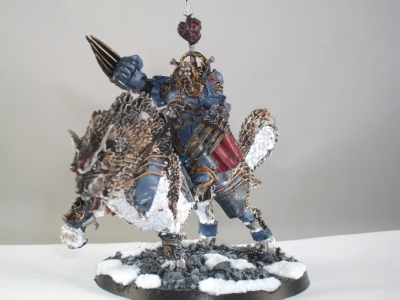 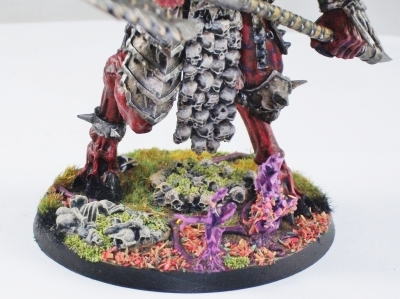 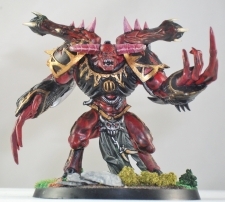 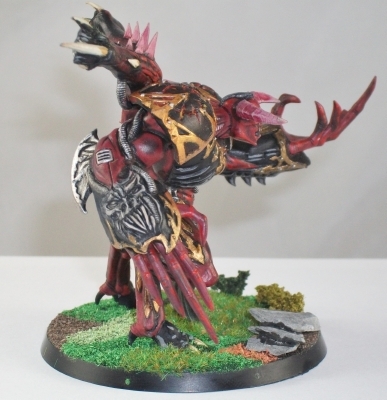 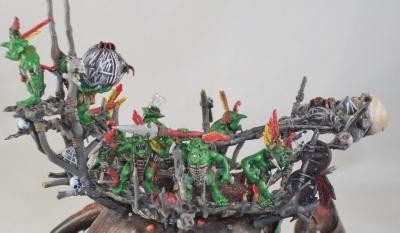 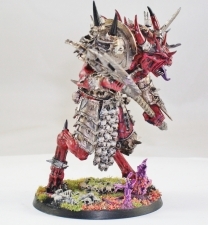 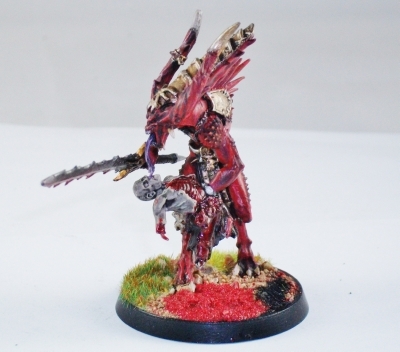 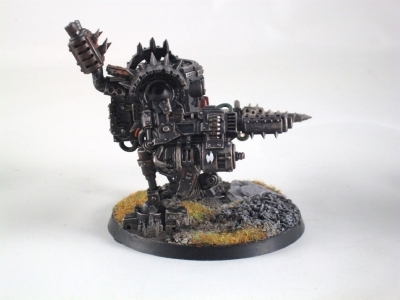 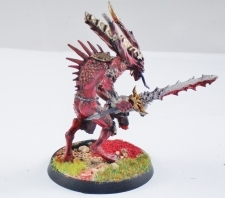 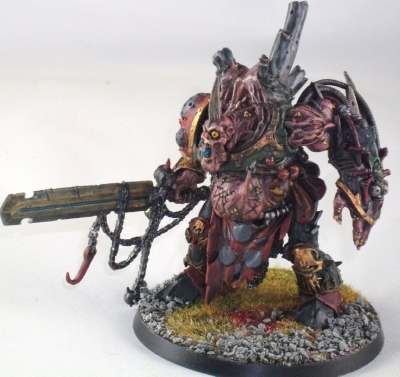 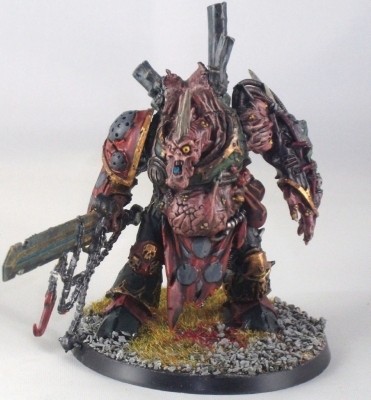 You can also see the detail on the daemon itsself, how the viens stand out against the colours and the metal work. 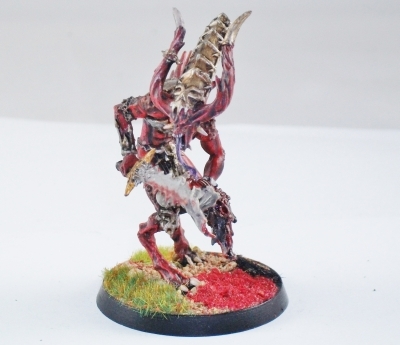 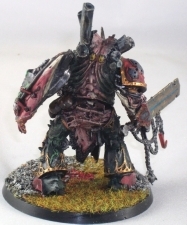 look how gory the Herald looks the blood err.